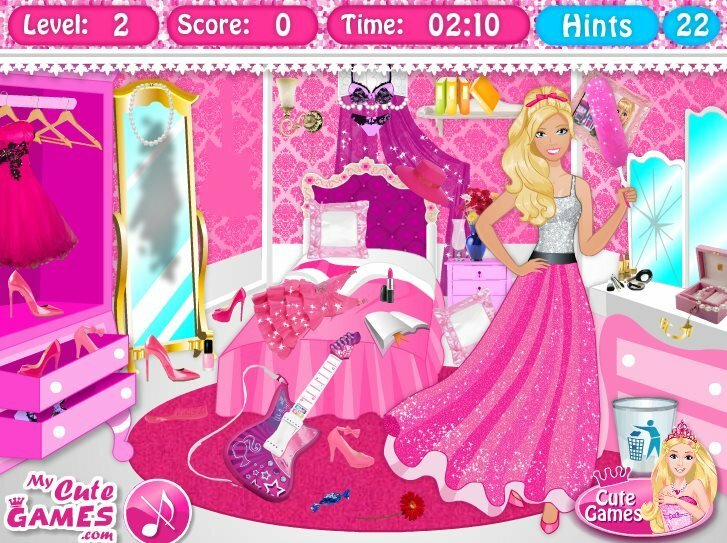 Barbie is a very popular girl in her house is always filled with guests. This weekend was no exception. Such a number of guests she had seen at home. It was very fun and noisy. But after the guests left an incredible amount of debris and scattered things. Who will it be to clean up? Of course Barbie. But she can not cope without your help. You will help her? 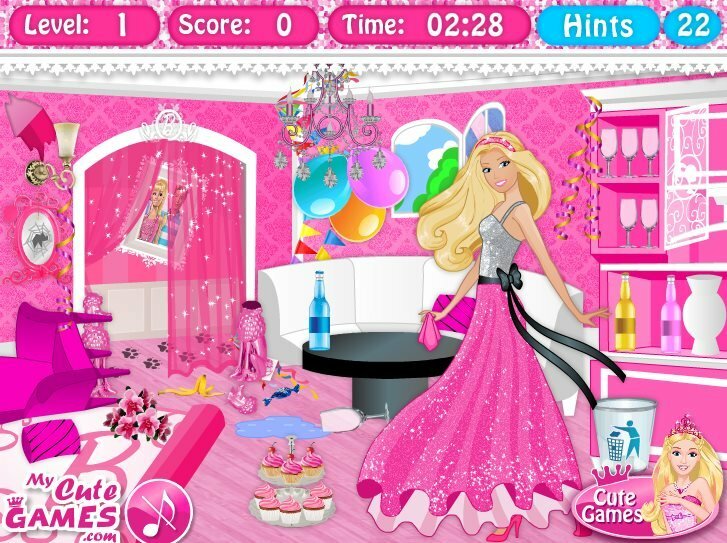 How to play: in this game you can help Barbie to clean the room from the trash after a big party. Making cleaning the bathroom, go to the yard. Here garbage even more. Your help here will definitely come in handy. 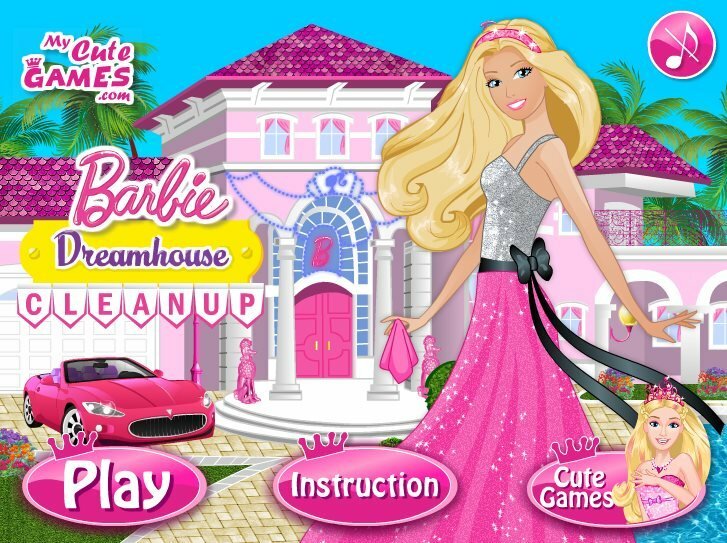 Let's do some cleaning and earn maximum points and help Barbie to make her house cleaner. Played: 39861. Added: 14-10-2015, 17:10. 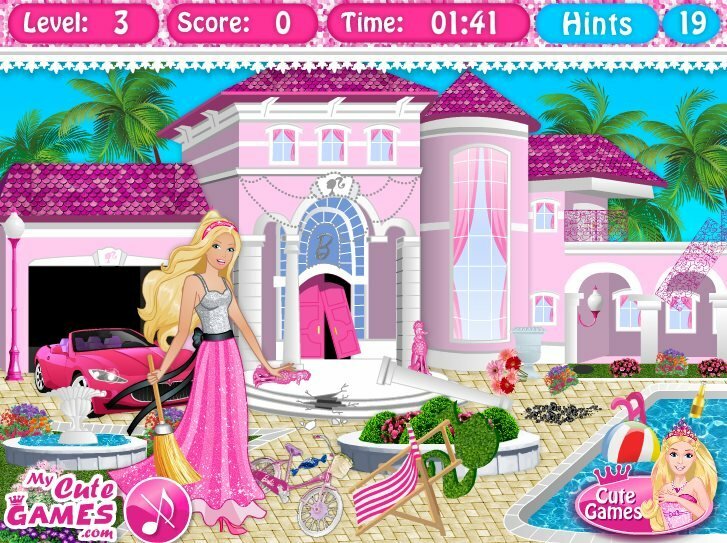 Help Barbie to make the yard cleaner.